Today, while navigating through the darkest parts of the internet, I've come across what seem to be the product names for Nokia's next (possibly MeeGo-equipped) internet tablet (or similar) devices: The RX-83, RX-85 and RX-90. Take a look below to see how I came to this conclusion. Preface: This discovery was made with the help of software which Nokia does not want the public to possess. Because of this, I haven't included links to the websites hosting it. However, a quick Google search will allow you to view such pages. It all began while searching for a certain mythical firebird which has the ability of flashing firmware onto Nokia's devices. This mythical firebird is used internally by Nokia, but its updates are often leaked to the public. With these updates, added support for new devices is common. This was the case for the updates of week 24 and week 38 in 2010. Week 24 brought in the RX-83 and RX-85, while week 38 introduced the RX-90. 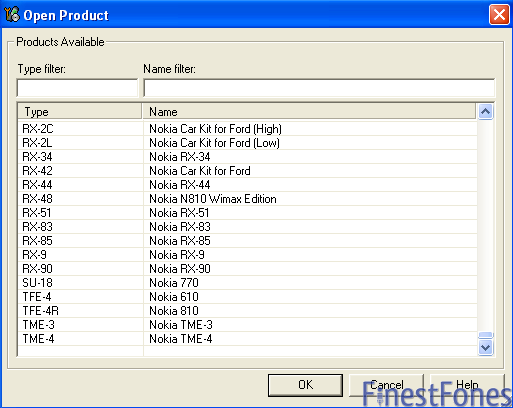 'RX' labels, in recent years, have been used for Nokia's tablet and laptop devices. The N800 is the RX-34, the N900 is the RX-51 and the Booklet 3G is the RX-72/5. Note that the leaked Nokia N9 is RM-680, so this isn't it. I doubt that any of these three devices is a netbook, since the Booklet 3G isn't supported by this mythical firebird software. MeeGo iPad-like tablet, anyone? Before you get excited, there are a couple things you should keep in mind. Firstly, despite these devices being mentioned in internal software, it doesn't guarantee that they will ever actually be released. Devices under development can be canned at practically any time. Secondly, assuming these devices will be released, it could still be quite a while before you see them. 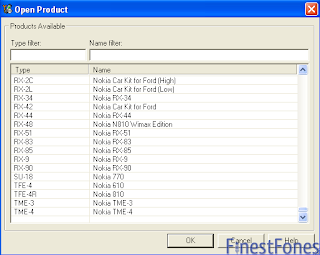 As an example of this, the leaked changelogs of this mythical firebird software first claimed support for the RM-596 (Nokia N8), RM-680 (Nokia N9) and RM-626 (Nokia E7) back in 2009. It's therefore logical to assume that we'll be waiting until roughly 2012 before seeing the Nokia RX-83, RX-85 and RX-90 in stores. Types RX-83 and RX-85 are known for months.